I’m pretty sure that a rather significant amount of degenerative disease is born every day around dinnertime in the developed world. The problem starts with our 9-5 lifestyles which make dinner seem like the only practical time to enjoy a large meal. And the large emphasis that our modern culture places on animal products means that these large dinners often consist of large amounts of animal fat and all of the random animal off-cuts and chemicals in processed meat. 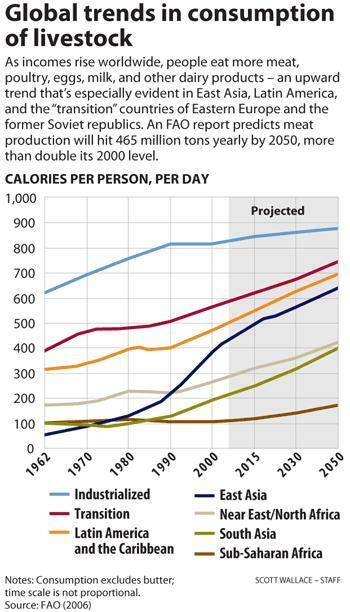 Take a look at this reblogged post to for a nice graphical depiction of the impact of meat on human health. Then you also have a myriad of other health threats that raise their ugly heads around this time. The first of these is fast food which is very convenient to pick up on the way back from work. Then we also have the TV – that addictive source of baseless propaganda that Americans stare at for more than five hours every day. 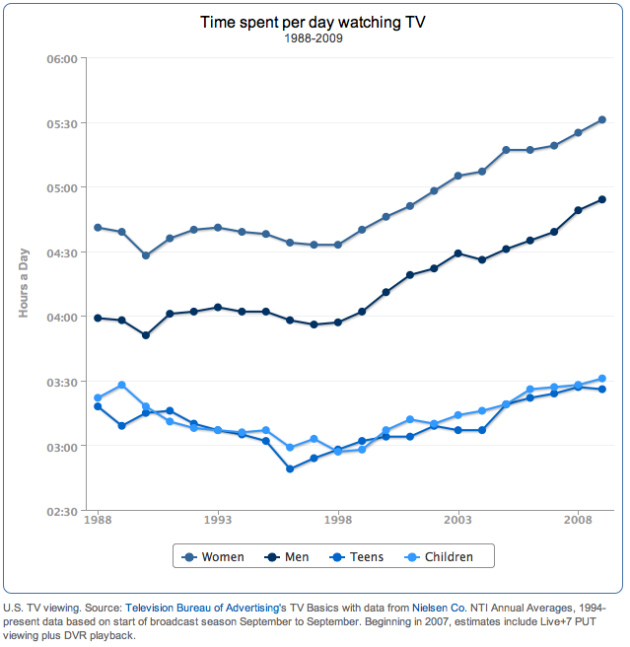 In fact, about a third of American families now eat dinner in front of the TV. But possibly the biggest TV threat is the fact that it seems to just demand that you have a bag of chips or a beer in your hand. Many people nowadays long for the end of the workday and, when it finally arrives, they find that they don’t really know what to do with it. Their minds just demand some pleasure after the work day and for many people this pleasure is found in a bag of chips in front of the TV – the classic killer combo of sedentary living and high-fat junk food. As discussed in a previous post, dinner (plus any late-evening snacking) should be significantly smaller than lunch. Since most of the day’s work has already been done, your body simply cannot do anything productive with a massive dose of dinnertime calories. The only thing it needs at this stage of the day is the nutrients required in the restoration process taking place at night. It is therefore essential that you eat only nutrient-dense foods (high nutrients/calories ratio) for dinner. The next few posts will share a few ideas to make this as easy and natural as at all possible. Also, if you have a family, please kick out the TV and make dinner time family time. Eating should just be a kind of side-activity during these precious few minutes that all family members are gathered in one place. 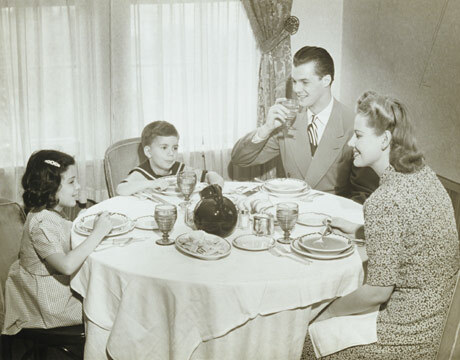 Like many other things, family dinner habits tend to reinforce themselves. Show interest, get talking and make dinner a time of togetherness, sharing and laughter instead of passive, mindless consumption. You will make the world a better place in the process.